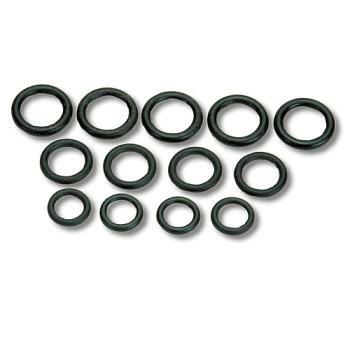 Replacement O-rings for use with dry sump fittings, straight threaded AN plugs and flare unions. Viton O-rings are compatable with gasoline. Fluorosilicone O-rings offer superior sealing and are the best choice for use with ethylene glycol, motor oil and methanol. Packaged in quantities of 10.